OPEC says it expects oil prices to become more stable over the next year. Despite oil prices dropping over 50 percent since 2014 the organisation decided in June to keep production unchanged to protect its market share. Russia adopted the same stance. It was at a meeting in Moscow on Thursday that the OPEC Secretary-General Abdullah al-Badri outlined his views on oil prices. The plunge in oil prices has caused Royal Dutch Shell to announce that its cutting 6,500 jobs. The company is also scaling back its exploration operations. The firm saw its second quarter profits fall 35 percent to 3.1 billion euros compared to last year. French company Total also cut costs and it seems to be paying off. 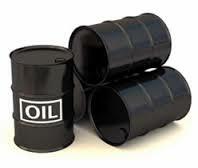 Despite the fall in crude prices the company reported second quarter profits of just over 2.74 billion euros. The two percent drop from a year ago was well ahead of analysts’ expectations.